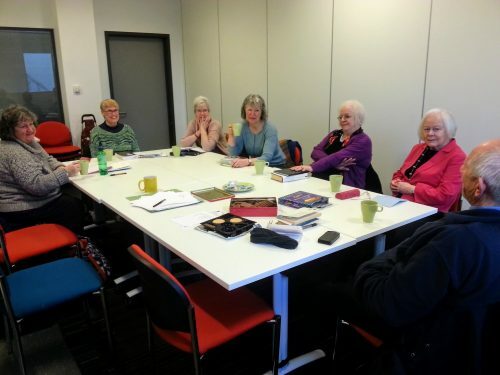 Poetry with Friends, has one fortnightly meeting in Whitley Bay, on alternate Tuesday evenings 7 pm – 9 pm at Whitley Bay Big Local Shop(across the road from the Fat Ox Pub). It’s immaterial if you write or not, we welcome anyone for friendship and some enjoyable social poetry. It is far more accurate to think of the group as a welcoming group of people with diverse likes in poetry and books, and who, on sharing their poems and the stories of their choice and associated reminiscences, happily listen to those invoked in others by the poem ………. and all with tea and coffee on tap. The group is a good mix of men and women, new attendees are always welcome. The only thing we ask is that you let us know fi you are attending for the first time so we can look out for you and make you welcome.
" Haiku: Snow-white butterfly, Floats by on a summer breeze, Slowly melts away."